Fool the joker to get her riches! 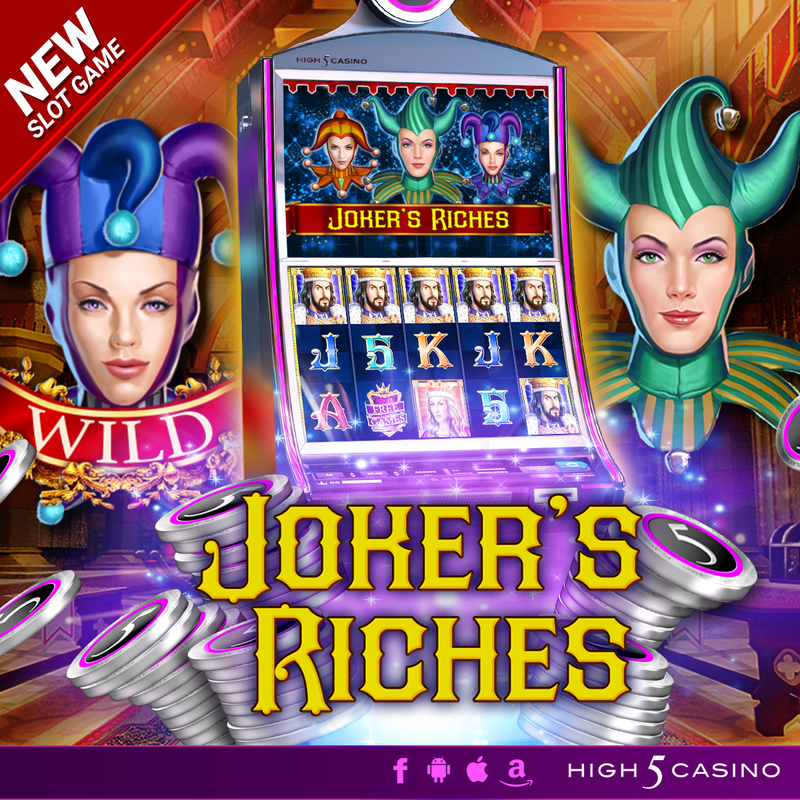 High 5 Casino’s 225th game, Joker’s Riches, arrives soon! Check the YouTube video below and get ready to be granted access into the castle! Are you ready to meet the kingdom’s sillest jokers for the best royal entertainment in Joker’s Riches? Comment in the conversation bubble located on the top right corner of your screen and let us know what you think! Game Preview: Gobblers Gone Wild! High 5 Casinos next release, our 180th game, arrives soon! Watch these wild turkeys outrun Fowl play in Gobblers Gone Wild! The gobblers have gone wild! These turkeys on the loose are no ordinary birds – they make a run for the win. Help these ingenious birds outsmart mischievous ploys. Spin your way to a lively turkey celebration with Activated Wilds and Free Games. 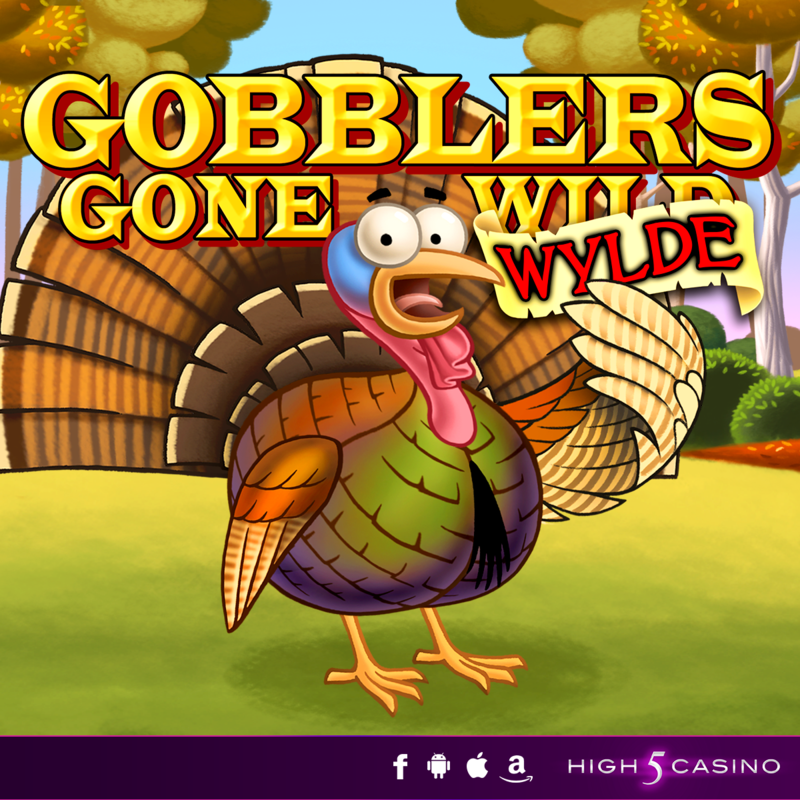 Play and watch the story unfold in Gobblers Gone Wild! 3 by 5 reels. 40 paylines. Activated Wilds and Free Games. Check the YouTube video below and get ready to run wild on your High 5 Casino’s reels. Are you ready to out-run those gobblers? Comment in the conversation bubble located on the top right of the corner and let us know!